Around 2,000 bottles of purified wastewater have been handed out along Hollywood Boulevard in Los Angeles, by Orange County utilities to demonstrate the safety and technological advancements to provide new sources of drinking water. The Orange County Water District (OCWD) and Orange County Sanitation District (OCSD) have collaborated in a water purification facility to further convince the public that purifying what was once wastewater can become a trusted new water resource. Regulations limit the use of advanced purified water to replenish groundwater basins even though the GWRS facility creates water that exceeds state and federal drinking water standards. 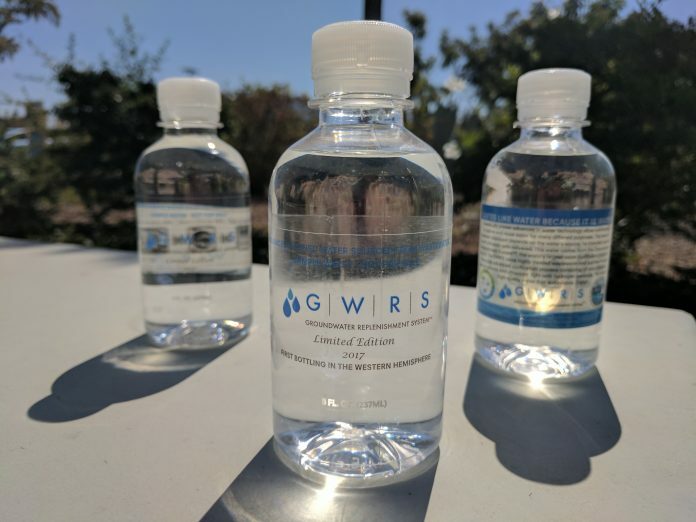 Under California law, adopted last year to expand the public’s awareness of water treatment advancements as the state moves toward direct potable reuse of this water, agencies such as OCWD are now allowed to bottle highly purified recycled water to be handed out for free as an educational tool. Bilodeau says water is so pure, it is near distilled in quality. Although state health officials are drafting rules that could eventually permit recycled water to be sent directly to drinking water supplies (direct potable reuse), OCWD’s authority is confined to using purified recycled water indirectly, to replenish Orange County’s vital groundwater basin.